Made these s’mores cookies for Father’s Day! They were super yummy to me. Secret ingredient is cookie butter to make the cookie taste like graham crackers, but they were nice and soft and chewy! You could do peanut butter which would be way yummy too. I love me some gingerbread!!! Yay finally baked in my very own oven!!! And I even had an old pal over who got to help us eat them up!!! I love exclamation points right now!!! 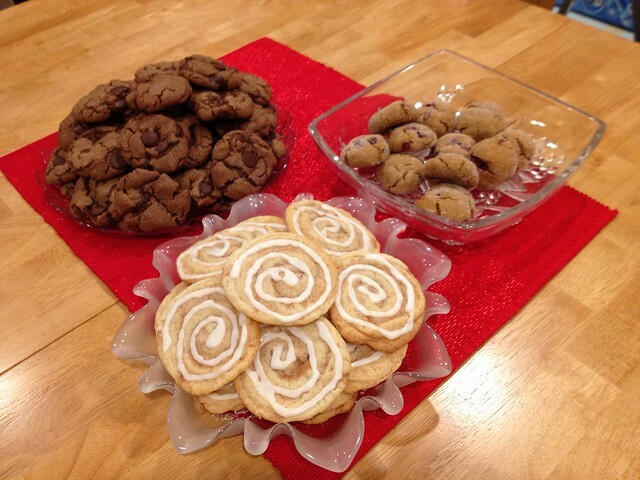 In case you want to make these cookies here are the recipe links!!! 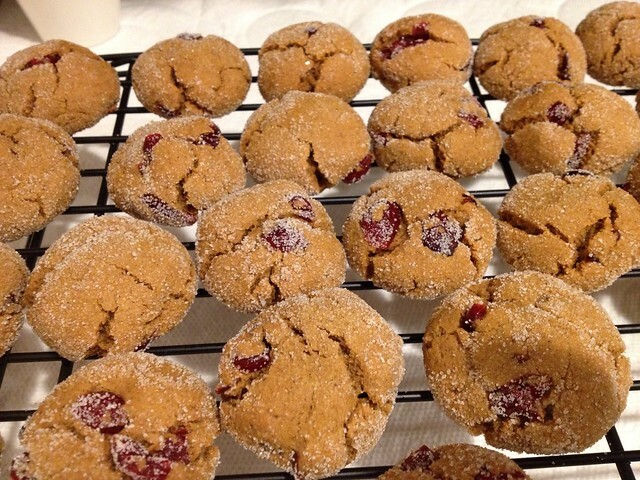 My favorite were the Cranberry Molasses Cookies,very easy to get a yummy gingerbread-ie cookie without having to roll out dough and cut shapes and frost!!! 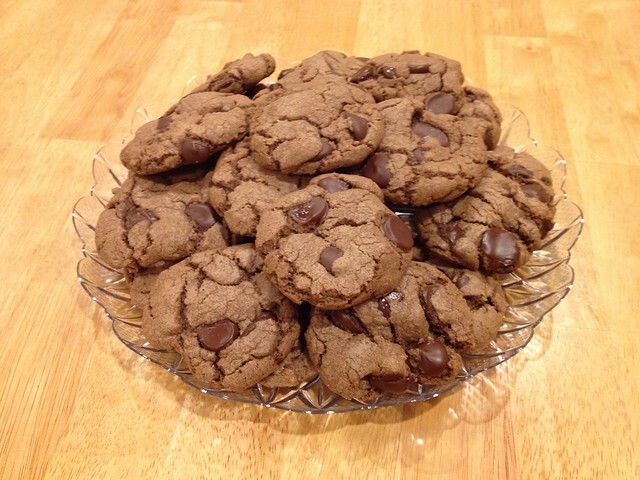 The Dark Chocolate Chip Comfort Cookies have a touch of peanut butter in them so they were not overly chocolatey!!! 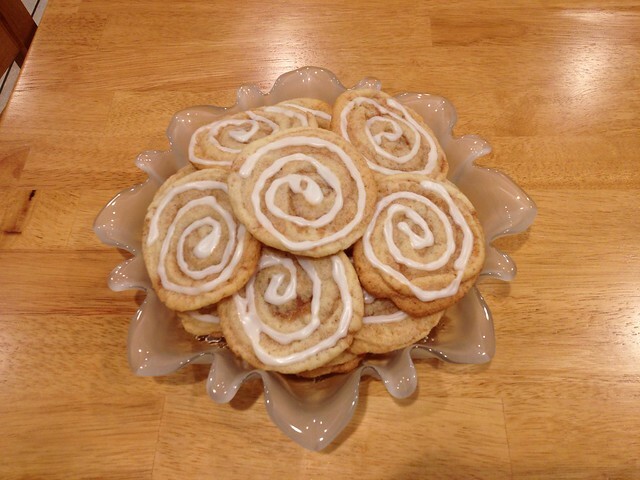 And the Cinnamon Roll Cookies, I did the cheat thing and used a premade sugar cookie dough Also was so warm at that point and I did not wait long enough to re-chill the dough that they flattened out a bit, but still tasted good!!! This year we decided to make a whole gingerbread village including a giant train! Hope everyone had a very Merry Christmas and wishing all a Happy New Year! Soap galore! I love the stained glass effect, when held up to the light! Here’s to a fabulous 2010! 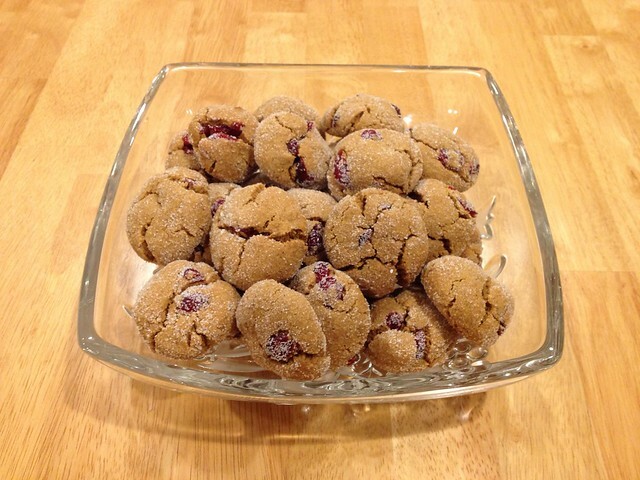 I got a fun cookie book, bigfatcookies by Elinor Klivans, a couple weeks ago and finally gave a recipe a try. I have to say that I bought the book because of the fun layout and I also got its partner cupcake book for that same reason. 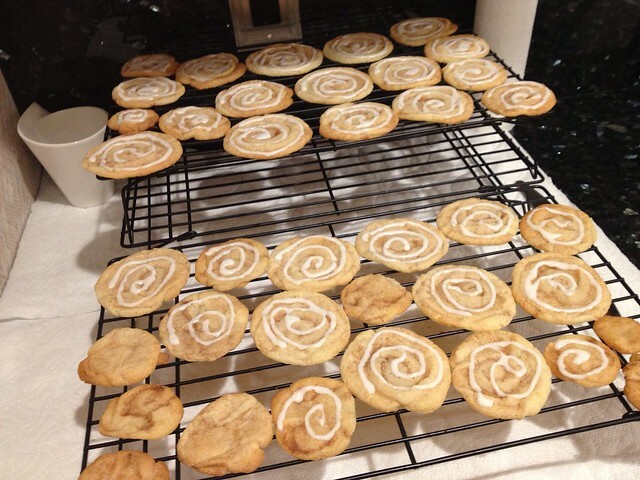 But, as it turns out the recipies look great too, and so far I have made the Cookie in a Cookie recipe and loved it! First you make your chocolate chip cookies the normal way, then let them cool and crumble it into the rest of the cookie batter and back the final cookie. Check out the batter before adding the bits of already baked cookie and after. Here is the first round of baking, all smooth and pretty. Then here is the final cookie all textured and twice as yummy! 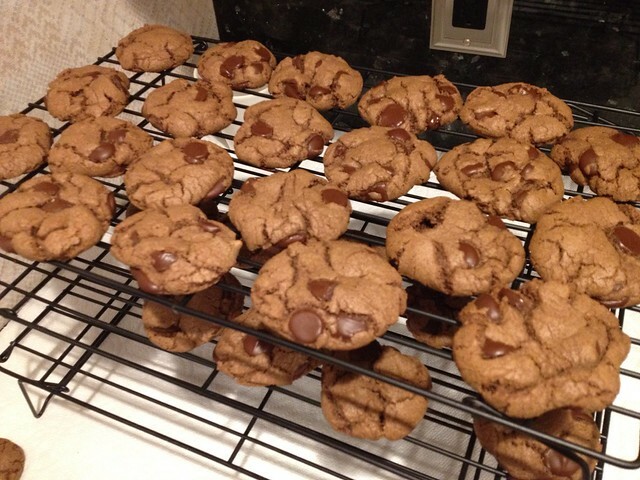 I think these are the best chocolate chip cookies I have ever made. Next time I am thinking of adding macadamia nuts! I love this book and can’t wait to try more of the cookies in it.